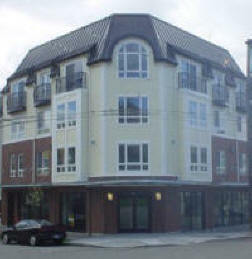 Services: This 70,000 SF mixed use building revitalized this property located just northeast of the Seattle Center. Duncanson Company prepared a site survey for a design base map. Runberg Architecture Group was the prime consultant. Duncanson Company prepared the on-site civil design, as well as street and alley improvement plans (private contract plans). For the construction stage, Duncanson Company provided primary layout control and performed ground motion survey during basement excavation and shoring.